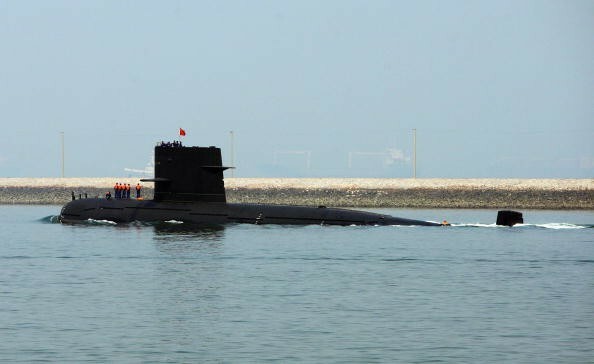 China is establishing its underwater sea lab along the South China Sea quite quickly to help extract mineral resources from the ocean as well as become a battle station if it comes to it. Bloomberg reported on Wednesday that China is speeding up its plan to build a deep-sea platform which can cater several purposes. This is one among a couple of underwater projects the Asian giant is pursuing amid what appears to be a chess match between China and the United States, as the latter continues to support its allies' claims over the same territories that Beijing wants for itself. First presented in China's five-year economic plan in March, the underwater sea platform, which appears to be a counterpart of a "space station," is expected to be situated 3,000 meters or almost 10,000 feet below the surface, according to a presentation from the Science Ministry cited by Bloomberg. Such project is also tagged as the second top-most priority in the top 100 science and technology priorities list, making authorities eager to finish it the soonest possible time. According to Center for Strategic and Budgetary Assessments senior fellow Bryan Clark, such submersed inhabited station has never been attempted in such depth "but it is certainly possible." "Manned submersibles have gone to those depths for almost 50 years," he added. "The challenge is operating it for months at a time." Bloomberg noted that there had been very little information about this project that has been made public, leaving many to wonder about its true purpose, particularly since the timing of the emergence of the plan had been impeccably favorable for China's South China Sea claims. Aside from the underwater "space station," China has also previously announced its plans on establishing a network of ship and subsurface sensors known as the "Underwater Great Wall." According to the South China Morning Post, the project, which was presented at the China State Shipbuilding Corporation's booth at a public exhibition in China late last year, is intended to become an early warning system to boost the country's control over the South China Sea. At the time, the ship-building company declared that the project would serve as "a package solution in terms of underwater environment monitoring and collection, real-time location, tracing of surface and underwater targets, warning of seaquakes, tsunamis and other disasters as well as marine scientific research." However, the SCMP believes that such project would incite anger and deepen the tension between China and the U.S., considering that the latter is implementing a series of "freedom of navigation" patrols along the contested waters.